I have a note in my phone called "food staples." It's a list of easy dinners that I make so often I don't need to look at a recipe. Every week when I'm making a grocery list, I include at least one or two of my staple recipes. Isn't it nice when you find a recipe that's easy, delicious, and everyone in your family likes? 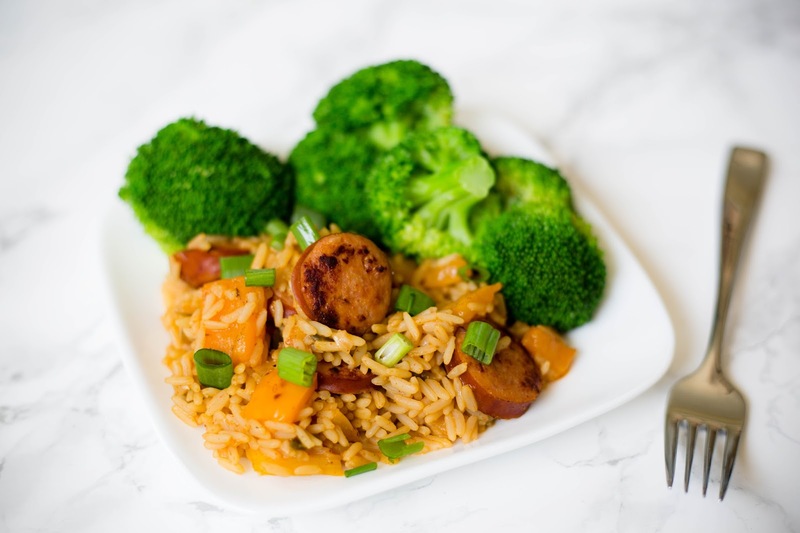 One of our favorite weeknight dinner recipes is jambalaya. So hard to spell correctly, so yummy to make. 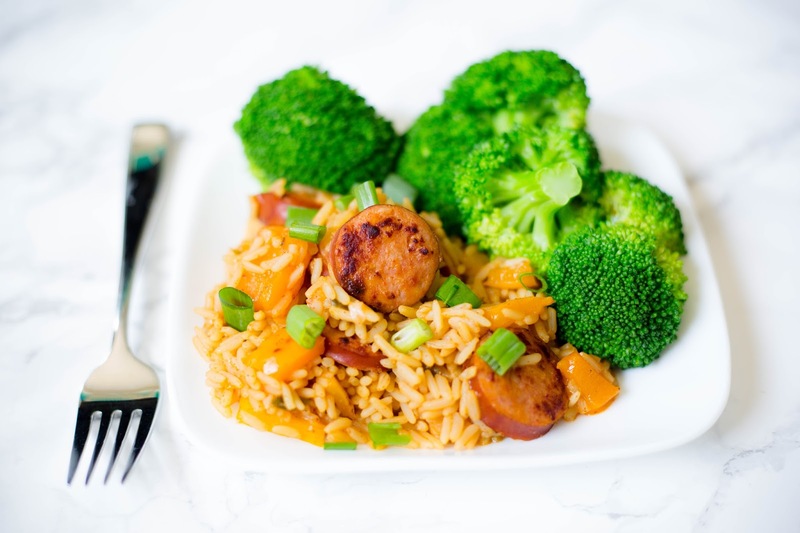 ;) It's flavor packed, almost impossible to mess up, and perfect for a quick weeknight meal. I've made several variations, and today I wanted to share my favorite with you. 1. Chop onion, bell pepper, and green onion. Set aside. 3. Slice sausage into pieces about 1/3" thick. Saute sausage in large frying pan on medium high heat, stirring frequently. 4. Add the yellow onion and bell pepper into your frying pan. Saute two minutes longer, or until onion begins to brown. 5. When there's about 10 minutes left on the rice, add contents of frying pan into the rice mixture. This ensures that all flavors will combine together. 6. 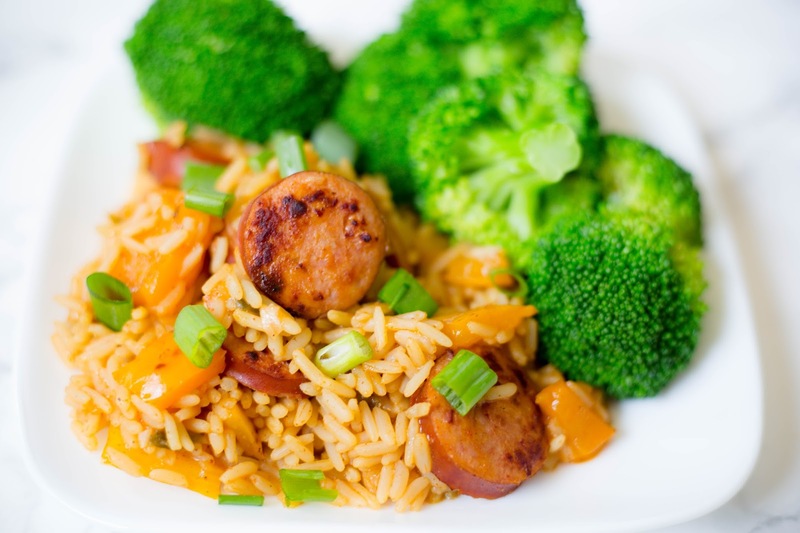 When rice is done, serve warm with a garnish of green onion and a side of steamed broccoli. Get more easy weeknight dinner ideas here. 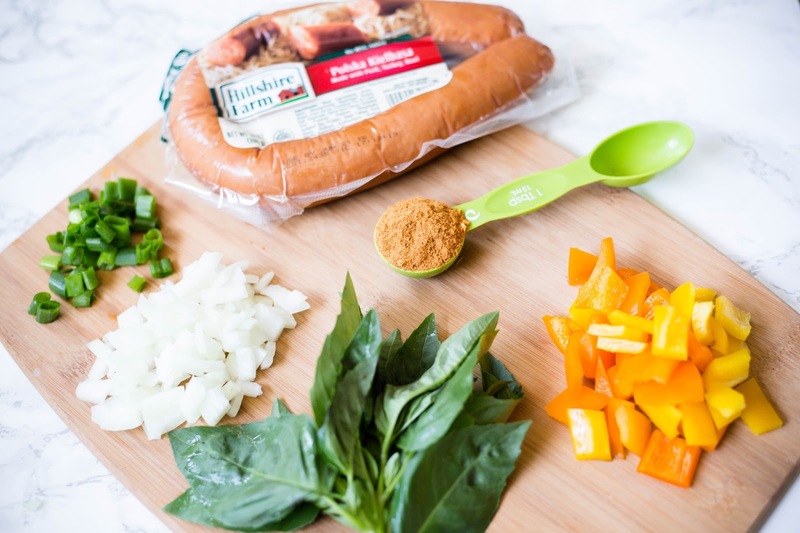 What are your favorite no hassle weeknight meals?